Timothy D. Cashdollar joined Cashdollar & Associates, LLC in January 2008. 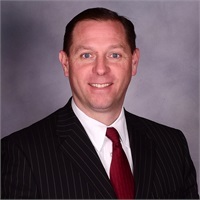 Prior to working at Cashdollar & Assoc., LLC Tim worked at John Hancock Financial where, for the last 6 years, he was Regional Vice President in charge of variable annuity and 529 college savings sales. Tim resides in Valencia, PA along with his wife Maria, son Andrew and daughter, Alexis. Tim holds his Series 7, 6, 63 registrations and life insurance licenses. In October of 2015, Tim completed the requirements to receive the Certified Retirement Counselor® designation.